Yep this year is flying by and yep I cannot believe it is March and yep Easter is knocking on our doors already...What happened to February? I think I blinked and it was gone. We had a flying (ha ha) trip to Canberra, where we ran around like March hares and ate ourselves silly. I managed to pick up a few goodies down there. (And hi to Rose and Joseph - Canberra travel bloggers). It was fab meeting up with you again. We took a drive in our hired car, and headed out for a look-see. 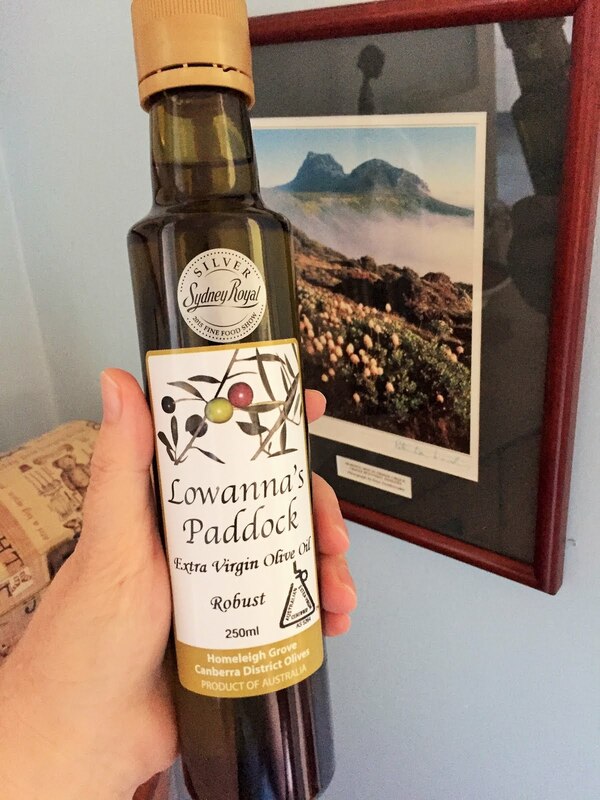 In my kitchen is some olive oil that I bought at the Yass Info Centre, which is staffed by lovely ladies. We also found a chocolatier in the depths of the countryside, where we had a most delicious iced chocolate. Worth a visit if you are ever near Murrumbateman. I love a robust oil, don't you? We drove past some black-faced sheep or were they goats? I have read that there is a type of sheep that looks like a goat, or it could be the other way round. I asked Mr P., who said they were sheep, and on probing further, he thought I was talking about the normal, white faced sheep that even I the agricultural virgin knew to be sheep! rich and chocolate-y and sprinkled with toasted hazelnuts. Did I mention the fab chocolates we ate in one gulp? I bought this at the National Library of Australia shop. What a bargain! They have so many interesting books there that you just don't see in other shops. Mr P. had to restrain me from whipping out the credit card, and reminded me of baggage limits. This book was a hefty 1.6 kgs alone. We spent our Saturday morning at a parade seeing our niece inducted into the RAAF, and the evening Last Post ceremony at the War Memorial left us in tears. It is a very emotional place. While there I bought a lovely poppy teacup and saucer. And yes of course coffee does taste better in it. This poem brings me to tears too. Well, it doesn't take much to be honest. My granddad was at Gallipoli and terribly wounded; he never really recovered. And hubby's great great-uncle was in the Light Horse and lost a leg. So, not in my kitchen but in my thoughts very much at the moment due to our lovely niece going into the military. Join in with Maureen from Orgasmic Chef and a heap of global bloggers displaying their wares - well, in a good way - not like the Naked Chef, not that he is naked. Your family memories and history are intriguing! Those battles seem so distant and alien to me. I spent some time in Canberra on a couple of trips to OZ and really found it an interesting city -- best of all, the national library was open to anyone (even an unqualified American like me), and I did some unique reading. Canberra olive oil looks good! I know what you mean Mae. I was so intrigued to find out about my granddad being at Gallipoli. my aunt knew nothing about it so i guess he never mentioned it. and it is amazing to look up a (distant) family member and find so much material on him. 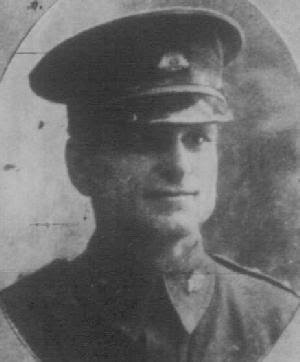 Mick was known as Major mick to his kin, and was nicknamed the horse whisperer when in Egypt during WW1. I don't think I realised when I wrote on your other post, that Nigel was on sale. That is a bargain and now I am very envious! The ice cream is clever and something to think about as an option for all of the friends I have who seem not to eat anything normal! more and more people are going vego, vegan and paleo etc! it is maddening:) Reminds me of my youth. 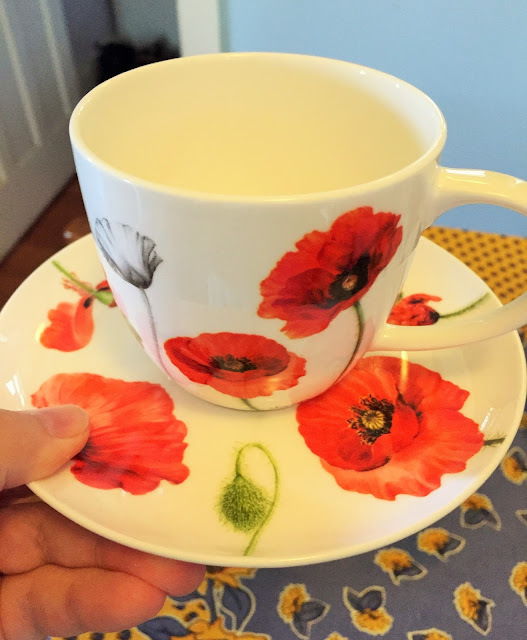 Dear Sherry, I love this post... that poppy cup and saucer from the AWM, so lovely and yet so poignant. The Nigel Slater book, a bargain. He is one of my favourites. Sorry to have missed you this visit. thanks! it was a great visit to canberra. next time Liz - let's catch up. 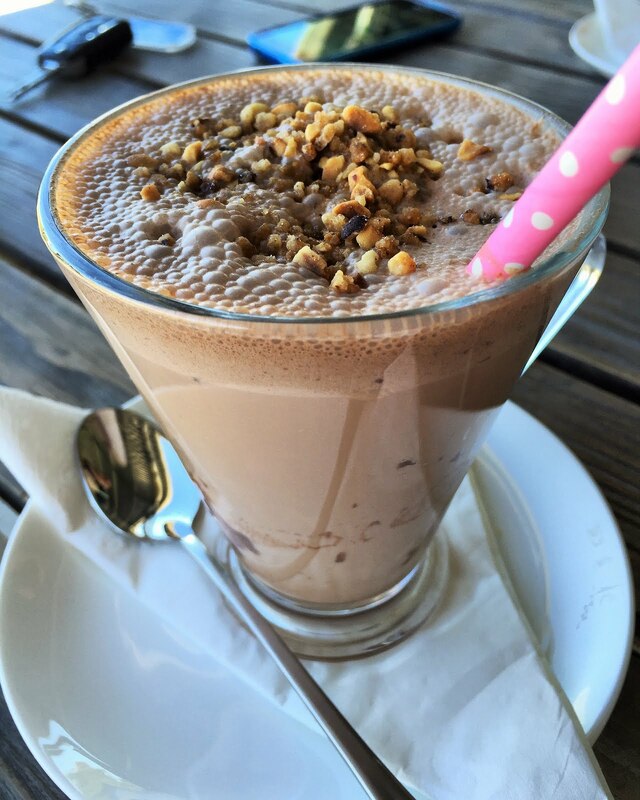 I had a chocolate craving before I read this...but then I saw this ice choc pic...not fair! I'm also wondering what happened to February?! it vanished didn't it? gulp easter is nearly here. The chocolate and the ice cream. :D Lovely post, Sherry! thank you. that cup makes me happy - so lovely and the grey poppies to represent the dead is so moving. You travel to the most marvelous places and pick up the niftiest things. I love that cup and saucer and I totally agree about the War Memorial. I get goosebumps just thinking about it. I've visited several times and I'm moved as much with each visit. Just standing on the front steps and looking across to Canberra makes me emotional. I'd love that Slater book! thank you maureen. we try to get around. :) Yay to canberra and yay to nigel S.
Ooh I must give that strawberry ice cream a go. It sounds fantastic! You're very right Sherry, the War Memorial is a very emotional and sobering place. Such an amazing place to spend some time and to think about the world. 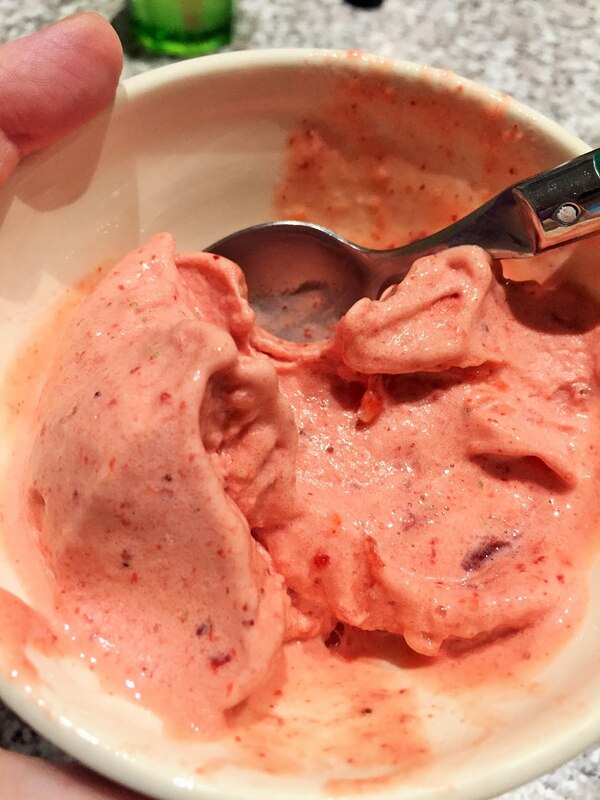 it is wonderful ice cream and pretty good for you sandra. canberra is going ahead in leaps and bounds these days. you are right - heaps to do there. hello again :=) yep love the War Memorial. 1.6kgs for a recipe book sounds hefty, but I know it is worth it! it's great isn't it christine? i could spend a fortune there. 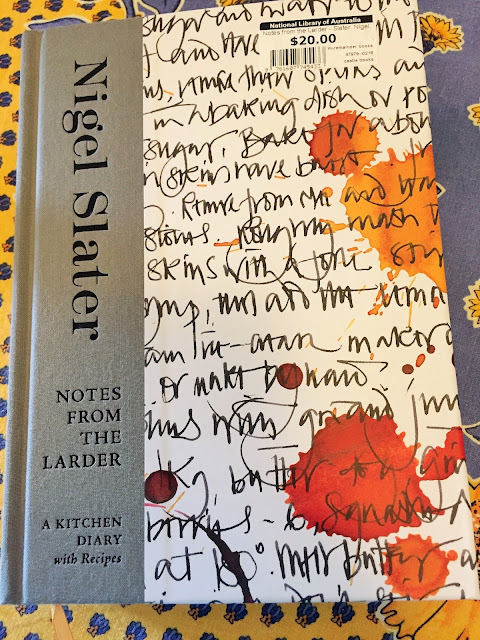 That nigel slater book looks beautiful - I only stop myself buying more of his books because I need to take time to read other books of his I own first. Sounds like a great trip - though I find the war memorial emotional too - gorgeous cup and saucer and a nice way to remember your grandfather and others who were so affected by war. Wow. I need to try that 5 minute ice cream!! It looks amazing, so good to know that it's not full of fat from cream as well! ;) Gorgeous post. Your trip to Canberra sounded lovely! Thanks heaps Laura. Canberra was great.